Try our new HTML5 player! We're rolling out a new beta test today: the HTML5 player! What's the HTML5 player, you ask? Simply put, it's an alternative to our current Flash player that looks and works almost exactly the same way. What are the benefits? It's a beta test -- it might be buggy! It only works for about 25% of you: you must be running the latest versions of Safari, Chrome, or IE with Chrome Frame installed. It cannot go full screen. Unfortunately this is a limitation of the browsers right now. We are working on adding at least full-window support in the next day or so. It only works on Vimeo.com right now, embed code will still be Flash. "Only" 90% of videos uploaded in the last year will work in the new player. All told, about 35% of all videos will still require the standard Flash player. In this case, Vimeo will automatically switch for you. It should just always work. To enable the HTML5 player, click the "Switch to HTML5 player" link below any video. Enjoy!!! One final note: those of you who have followed the development of HTML5 probably know video can be a contentious issue (for more on why, read here: diveintohtml5.org/video.html). Almost every thread on the internet about HTML5 devolves into some kind of flamewar. Please don't comment here extolling the virtues of open source or unencumbered codecs. We know, it's our job to know, and that conversation has been had a million times. If you really feel like you need to talk about it, please do so in the Feature Request forum. The simple fact is right now h264 allows us the most flexibility to display on many devices and many players with the same file. When that changes, so will we. That's all there is to it, thanks for your understanding! Because you are not running one of the browsers mentioned in the blog post. The HTML 5 link isn't visible here on the supported browsers. But as they say, it's still in beta... ! anyway this is surely gona be successfull ! We're showing you as using Firefox 3.0.6. I'm using Safari 4.0.4 and I'm not seeing the link on any videos. I see it. Ignore my previous reply. I'm using chrome right now and enabled the HTML5 player but the video does not load. However, I won't use it as long as it doesn't support fullscreen. I tried three different ones, all were uploaded in the last couple of days. "Permission denied - You do not have permission to view this page." I don't know what OS youre running but there seems to be big difference between running Safari 4.0.4 under Leopard or Snow Leopard. Under Leopard everything was sluggish and pixelated but under Snow Leopard everything is very smooth. At least for me. I'm on Leopard. Haven't tried it yet on my Snow Leopard Mac. Video takes a while to load, and isn't quite smooth, flash player results in a smooth playback. However, this is exciting, as it no longer has the 'stutter' on the last second of HD video playback. That right there makes it worth it for me to use the HTML5 player. Awesome work! This works really well. Super fast loading. Glad to see that my favorite streaming video site supports HTML5! But what about Firefox? can't see the link on my computer (Firefox). Woh I wasn't aware of that codec particularity. Thanks for the precision. It could be a good idea to add some information about that precise case in the blog post. Firefox is one of the most popular browsers and claims to support HTML5 video tag so people will continue to ask in the comments I guess. And I just asked the question! Sorry about the duplication. looks pretty good so far. Glad you guys are rolling on this early :) cause you know mobile / iphone kinda took a while eh hehe. good job yo! woohoo.. Thanks guys! Keep up the good work! Excellent job guys! It's very cool seeing my vids running on tomorrow's standards! Thanks for going the extra mile. You're officially ahead of the curve! IE8 32 bit on Win7 Chrome Frame installed. HTML player works fine, but now Vimeo says I don't have latest version of the Flash player installed (I do). Now I can't play videos on the site in Flash or see my stats. Flash is working on other sites. Strange. We want fullscreen just as much as you do, but unfortunately browsers don't support it at the moment. Hopefully they will ignore the spec and implement some way of getting fullscreen playback. The WebKit engine (as used by Safari and Chrome) recently added an extension to the HTML 5 DOM that allows a page to send a element full-screen in response to a user gesture (e.g., clicking on a button). It’s exposed in such a way that full-screen support can easily be detected via script so that the appropriate UI can be displayed only when the functionality is supported. You can see the extensions to the HTMLMediaElement interface at trac.webkit.org/browser/trunk/WebCore/html/HTMLMediaElement.idl#L82. Firefox supports fullscreen HTML 5 video. Great work! Plays much more smoothly for me and doesn't eat my processor alive like flash does. Keep it up vimeo! Dude, that's been in your user stories backlog on Rally since before you left! When are you going to have it done? 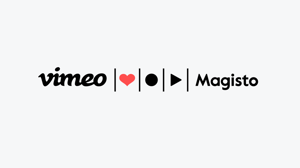 I don't know what it is about you vimeo, but you're looking better and better these days. New haircut? I use Chrome 3; can't see any link. It's just below the description, on the right-hand side. Nah, it's OK. Just found it. Video loaded instantly. Where is my message? Deleted? Yes, re-read the part of the blog post pertaining to the Theora/licensing debate. Move it to the other thread if you really feel like having the same discussion again. Sorry I don't see any part in this blog announcement about licensing (unless you mean to read the diveintohtml5.org site?). Anyway I was just curious if it was deleted, sometimes it is acting weird here. About 30 seconds ago when I refreshed that page there was only 3 comments! I refreshed many times and all others comments were not displaying and then, 45 seconds later they were all back. Weird! wow, that's really great... keep it up, that looks smooth even in beta! "Please don't post help or support questions here! Using the Help Center will give you much more prompt and useful information. Sorry, but off-topic comments will be removed to keep things tidy." You guys never cease to amaze. Fantastic! Apparently the browser on my droid supports the video tag, and I get the black box with all the buttons to load, I hit play and nothing happens. Codec issue? I'm feeling a bit pessimistic since I'm a big Flash and Firefox fan boy and I would hate to see you guys stop support flash. I queses I will have to just wait and see it in better daily use context before I state my opinion. In any regards keep up the hard work and never stop teaching your self new things. Don't be sad! The Flash version isn't going away just yet. On the contrary, we're working on some really great features and optimizations for the Flash version as we speak, and will be announcing some really exciting news real soon. HTML5, or more specifically support in browsers for the video tag, is just a technology. At the end of the day what matters to us is the experience for our users and we're going to use the best technology possible to deliver the best possible experience. Native video rendering in the browser gives tremendous performance advantages, and that's why we're going ahead with this beta. We don't care about the specific technology or implementation nearly as much as we do about what it's like for you to use the site. That's what we'll always be focused on, whether it's HTML5, Flash, or some other super awesome future technology that comes out down the road. Brad, I gotta tell ya, providing an alternative to Flash made the deal for me to sign-up for an account on Vimeo. Flash-video on Macs is notoriously CPU-intensive, I vowed never to support sites that rely completely on Flash-based video. The only thing that has made things tolerable for me is Click-to-Flash . Hallelujah! Hallelujah! Hallelujah! Works for me! Very cool. Best part: finally being able to jump ahead without waiting for it to load. playback is really choppy for me.. is that download speed issue? do you normally have trouble playing videos on Vimeo? i see, waiting for a video to load a bit before playing is kinda the norm in new zealand, does this mean HTML video isn't really feasible for us? Awesome, guys. Keep up this fantastic effort! This HTML5 player is so awesome that I just created my own Vimeo account. The quality is superb, and it just worked on my Mac. Amazingly, it didn't make my processor usage jump to 90%, it stayed around 25%. This is awesome. I had similar results. Nice work. Caching probably, try adding ?blah to the end of the address. Such good news! I've tried it on Chrome and it works great. I work as a Flash Developer and really enjoy it, but if I ever have to make another video player it'll be too soon, so thank you. Ah, I'm assuming that's why there's no Firefox support... FF doesn't support h.264 video. EDIT: oh wait? FF 3.6 is out, that might have changed things. Works for me. Love the move away from flash. I tried vimeo.com/8492891 with it in Chrome on my macbook pro and every time the video cit to a new shot it left an image of the previous shot on the screen and showed about 10% of the new shot. If I clicked on it it cleated to the new shot. Cool but needs full screen support. Beautiful job. Full screen will be next, but anything to punt Flash from my system.